Date Schedule of Kolkata Theatre Festival Salt Lake 2015, Opening & Closing last date of Kolkata Theatre Festival, Salt Lake 2015, Entry timings of Kolkata Theatre Festival Salt Lake 2015, time schedule of Kolkata Theatre Festival Salt Lake, location of 2015 Kolkata Theatre Festival, address of Kolkata Theatre Festival Salt Lake how to go, Ticket price of Kolkata Theatre Festival, 2015 ticket booking process online of Kolkata Theatre Festival Salt Lake. Due to sudden & unfortunate demise of former President of India A.P.J. Abdul Kalam, the dates of Kolkata Theatre Festival 2015 has been rescheduled to 3rd August 2015 at Bharatiyam Complex (Salt Lake) at 5pm. EZCC presents biggest Theatre Show in Kolkata with 122 Play will be staged during 33-days long Theatre Festival (Natyo Utsav). • 2015 Kolkata Theatre Festival, Salt Lake Date Schedule: - Let’s check out the starting date & closing (last) date of Kolkata Theatre Festival, Salt Lake now. 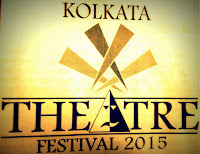 Kolkata Theatre Festival 2015 will begin on 3rd August 2015 (Monday) and will end on 5th September 2015. • 2015 Kolkata Theatre Festival, Salt Lake Timings: - Let’s check out the opening & closing time of Kolkata Theatre Festival, Salt Lake. Entry timing of Kolkata Theatre Festival is between 9:30am to 9:30pm [Daily]. • Ticket Price of Kolkata Theatre Festival, Salt Lake 2015: - Open to all and Free admission. • 2015 Kolkata Theatre Festival Location / Address: - Bharatiyam Complex, Eastern Zonal Cultural Centre (EZCC), IB-201, Sector-III, Salt Lake, Kolkata-106. • Phone Contact number of Kolkata Theatre Festival, Salt Lake: - 033-2335-6796. • 2015 Kolkata Theatre Festival, Salt Lake Organizer details: - Kolkata Theatre Festival 2015 is organized by Eastern Zonal Cultural Centre (EZCC), Kolkata. Meet with the Maestros: - People can interact with 50 eminent Theatre Personalities of India in Kolkata Theatre Festival. Seminar at Kolkata Theatre Festival: - The Multiple Streams of Indian Theatre. Exhibition at Kolkata Theatre Festival: - The Journey of Kolkata Theatre. Theatre Haat at Kolkata Theatre Festival: - Traditional Crafts, Masks and Ornaments will be available for purchasing during Kolkata Theatre Festival. Workshop at Kolkata Theatre Festival: - Theatre personnel can learn Body Movements, Acting, Light design, Makeup and Costumes during various workshops at Kolkata Theatre Festival. Let’s check out few names of participating Theatre Groups who will performed (staged) ‘Natok’ (Play) during Kolkata Theatre Festival 2015 – Nandikar, Bohurupee, Nandipat, Padatik, Chetona, Howrah Bratyajon, Theatre Workshop, Rangakarmi, IFTA, Calcutta Puppet Theatre, East Kolkata Cultural Organization, Jadavpur Manthan, Salt Lake Theatre, Khardaha Theatre Zone, Dakshineswar Komal Gandhar, Barasat Kalpik, Candid Theatre, Kolkata Anubhab and many other theater groups. Be a part of Kolkata Theatre Festival 2015. Date Schedule of Ilish Utsav Kolkata 2015, date of Ilish Utsav, Kolkata 2015, Entry timing of Ilish Utsav Kolkata 2015, time schedule of Ilish Utsav Kolkata, location of 2015 Ilish Utsav, address of Ilish Utsav Kolkata how to go, price of Ilish Utsav, 2015 booking process online of Ilish Utsav Kolkata. West Bengal Tourism Development Corporation Ltd. (WBTDC) is going to organize Ilish Utsav on 16th August 2015. It's not like other Hilsa Festivals organized here & there, because WBTDC Ilish Utsav is going to give you delicious Lunch alongside mind-blowing Cruise on Hooghly River. • 2015 Ilish Utsav, Kolkata Date Schedule: - Let’s check out the date of Ilish Utsav, Kolkata now. Ilish Utsav is on 16th August 2015 (Sunday). • 2015 Ilish Utsav, Kolkata Timings: - Let’s check out the time of Ilish Utsav, Kolkata. Ilish Utsav in Kolkata by WBTDC is a day long program with Ganga River Cruise. So, people should come latest by 10:45am at Babughat. The Ilish Utsav Cruise will leave Babughat at 11am. • Ticket Price of Ilish Utsav, Kolkata 2015: - Ilish Utsav, Kolkata ticket price is only Rs.1500/- [inclusive all Taxes] per head for River Cruise & Treat. • How to book ticket of Ilish Utsav, Kolkata: - Let’s check out Ticket booking process, where to contact for seat (ticket) booking in Kolkata and Online Ticket booking procedure for upcoming Ilish Utsav in Kolkata – Those who want to buy tickets of Ilish Utsav, Kolkata are advised to contact Kolkata Tourism Office [Address: - WBTDC Tourism Centre, 3/2 BBD Bag, Kolkata-1]. You may also purchase tickets though Online Booking process at www.wbtourism.gov.in and www.wbtdc.gov.in website. • 2015 Ilish Utsav Location / Address: - The whole event of Ilish Utsav will happen on Hooghly River Cruise. People having tickets of Ilish Utsav are requested to come at Babughat (Kolkata) where from the Cruise will leave at 11am. • Phone Contact number of Ilish Utsav Organizer: - 033-2248-8271 / 033-2243-6440. • 2015 Ilish Utsav, Kolkata Organizer details: - Ilish Utsav of Kolkata is organized by West Bengal Tourism Development Corporation Ltd. (WBTDC) under the Department of Tourism (Government of West Bengal). It’s an initiative by Govt. of West Bengal. • 2015 Ilish Utsav, Kolkata details: - West Bengal Tourism Development Corporation Ltd. (WBTDC) [Government of West Bengal, Tourism Department] presents Ilish Utsav in Kolkata on 16th August 2015. This Ilish Utsav is going to be organized on the Cruise of WBTDC and not in any Hotel or Restaurant. So, an exciting River Cruise with variety of mouth watering Ilish Dishes in your lunch is waiting for you. Overall, it will be an unforgettable experience because of relaxing trip over Hooghly River with delightful Ilish dishes. Limited Seats are available. Please book your ticket for Ilish Utsav as soon as possible. 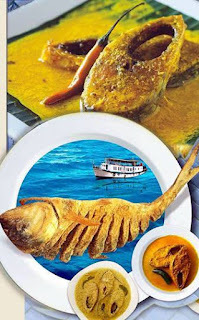 Ilish to Relish, A Cruise to Cherish - Come Be a part of Ilish Utsav of Kolkata. Date Schedule of Travel & Tourism Fair (TTF) Kolkata 2015, Opening & Closing last date of Travel & Tourism Fair (TTF), Kolkata 2015, Entry timings of Travel & Tourism Fair (TTF) Kolkata 2015, opening & closing time schedule of Travel & Tourism Fair (TTF) Kolkata, location of 2015 Travel & Tourism Fair (TTF), address of Travel & Tourism Fair (TTF) Kolkata, Ticket price of Travel & Tourism Fair (TTF). India’s biggest Travel Show is back like every previous year at Netaji Indoor Stadium & Khudiram Anushilan Kendra only for 3-days (31st July, 1st Aug & 2nd August 2015) showcasing Domestic & International Tourism & Travel business opportunities. • 2015 Travel & Tourism Fair (TTF), Kolkata Date Schedule: - Let’s check out the starting date & closing (last) date of Travel & Tourism Fair (TTF), Kolkata now. Travel & Tourism Fair (TTF) is a 3-day long Tourism Fair in Kolkata, starting on & from 31st July 2015 and ending on 2nd August 2015. 31st July 2015 (Friday) – Only entry for Travel Trade between 11:30am & 7pm. 1st August 2015 (Saturday) – Travel Trade entry (10:30am to 2pm) and General (Open for All) entry (2pm to 7pm). 2nd August 2015 (Sunday) – Open for all (General) entry timing (10:30am to 7pm). • Entry Ticket Price of Travel & Tourism Fair (TTF), Kolkata 2015: - Trade entry fee is Rs.50/- and General entry ticket price is only Rs.30/- per person. • 2015 Travel & Tourism Fair (TTF) Location / Address: - Netaji Indoor Stadium & Khudiram Anushilan Kendra, Kolkata. • 2015 Travel & Tourism Fair (TTF), Kolkata details: - If you are in Travel Business, then do not miss India’s biggest Travel Show i.e., Travel & Tourism Fair (TTF), where Domestic & International tour operators, travel agents and Government Tourism taking part to showcase their upcoming economical / budget / luxurious packages along with exclusive offers & discounts on spot booking. Date Schedule of Purba Paschim Natyotsav (Theatre Festival) Kolkata 2015, Opening & Closing last date of Purba Paschim Natyotsav (Theatre Festival), Kolkata 2015, Entry timings of Purba Paschim Natyotsav (Theatre Festival) Kolkata 2015, opening & closing time schedule of Purba Paschim Natyotsav (Theatre Festival) Kolkata, location of 2015 Purba Paschim Natyotsav (Theatre Festival), address of Purba Paschim Natyotsav (Theatre Festival) Kolkata how to go, Ticket price of Purba Paschim Natyotsav (Theatre Festival), 2015 ticket booking process online of Purba Paschim Natyotsav (Theatre Festival) Kolkata. Purba Paschim is organizing Bengali Theatre Festival in Kolkata from 28th July 2015 – total of seven Bengali Natok will be staged during this Bangla Natok Utsav. Let’s check out in details below. • Entry Ticket of Purba Paschim Natyotsav (Theatre Festival), Kolkata 2015: - Tickets will be available at Rabindra Sadan from 23rd July 2015 and at Academy from 26th July 2015. You may also Book your seats by purchasing (buy) tickets online from www.indianstage.in website. • 2015 Purba Paschim Natyotsav (Theatre Festival) Location / Address: - Bengali Theatres will be performed at Rabindra Sadan, Academy & Sishir Mancha of Kolkata on various dates as per below mentioned schedule. • Phone Contact number of Purba Paschim Natyotsav (Theatre Festival), Kolkata: - 9830783356 / 8017476290. • 2015 Purba Paschim Natyotsav (Theatre Festival), Kolkata Organizer details: - It’s an initiative of Purba Paschim Natya Academy, Kolkata. 28th July 2015 at 6pm at Rabindra Sadan, Kolkata: - Inauguration of Purba Paschim Natyotsav (Theatre Festival) by Shri Keshari Nath Tripathy (Honorable Governor of West Bengal) in the presence of Sri Bratya Basu, Sri Bibhas Chakraborty, Sri Ashoke Mukhopadhayay. Later, Ramaprasad Banik Memorial Award will be given to Sri Chandan Sen. At last, Bengali Theatre (Natok / Play) - Charandas Chor by BA, Assam [Director: Anup Hazarika]. 29th July 2015 at 6pm at Rabindra Sadan, Kolkata: - Bangla Natok (Bengali Theatre / Play) - Fagun Rater Gappo by Rabindra Bharati Theatre Repertory [Direction: Tarun Pradhan]. 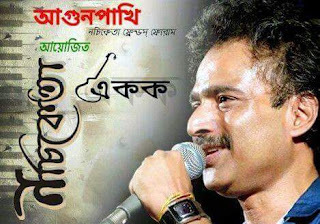 30th July 2015 at 6:30pm at Sisir Mancha, Kolkata: - At first, Centenary Tribute to Sambhu Mitra and then 'Tomare Smaran Kari Rupakar' by Bahurupee [Direction: Tulika Das]. 1st August 2015 at 3pm at Academy, Kolkata: - Bengali Theatre (Bangla Natok / Play) - Raktakarbi by Prangonemor, Bangladesh [Direction: Nuna Afroz]. 1st August 2015 at 6:30pm at Academy, Kolkata: - Bengali Play (Theatre / Natok) - Chhayapath by Rang Roop [Direction: Sima Mukhopadhaya]. 2nd August 2015 at 3pm at Academy, Kolkata: - Bangla Natok (Bengali Play / Theatre) - Harpaban by Purba Paschim [Script: Arup Shankar Moitra & Direction: Soumitra Mitra]. 2nd August 2015 at 6:30pm at Academy, Kolkata: - Bengali Theatre (Bangla Play / Natok) - Hasuli Banker Upakatha by Purba Paschim (A novel by Tarashankar Bandopadhayay) [Script & Direction: Koushik Kar]. For further details please visit www.purbapaschim.net official website of Purba Paschim Natyo Academy of Kolkata. Date Schedule of Australian Education Exhibition Kolkata 2015, date of Australian Education Exhibition, Kolkata 2015, Entry timings of Australian Education Exhibition Kolkata 2015, address / location of 2015 Australian Education Exhibition, entry ticket price of Australian Education Exhibition, Kolkata. Here is the chance to explore Australian Universities and courses offered there at Australia seating in Kolkata. Yes, Australian Education Exhibition in Kolkata gives you all the opportunity to discuss courses, scholarships, admission process, future career scope and many other queries directly from the Australian University executives on 7th August 2015. • 2015 Australian Education Exhibition, Kolkata Date Schedule: - Australian Education Exhibition in Kolkata will be held on 7th August 2015. • 2015 Australian Education Exhibition, Kolkata Timings: - Let’s check out the opening & closing time of Australian Education Exhibition, Kolkata. The exhibition will start at 12-noon and will end at 5pm. • 2015 Australian Education Exhibition Location / Address: - Hotel The Oberoi Grand, Kolkata. • Phone Contact number of Australian Education Exhibition, Kolkata: - 033-4006-1112 / 033-3053-2020. • 2015 Australian Education Exhibition, Kolkata Organizer details: - Australian Education Exhibition in Kolkata is organized by Global Reach (www.globalreach.in), Australia Future Unlimited, eVisa, Media Partner you and many others. 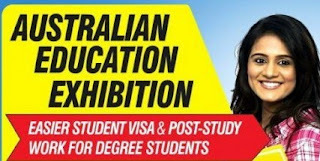 • 2015 Australian Education Exhibition, Kolkata details: - Australian Education Exhibition, Kolkata is the place where people can explore various courses & career prospects of Universities & Institutions of Australia under one roof. Let’s check out few names of Institutions & Universities of Australia participating in Australian Education Exhibition 2015 Kolkata – Bond University, CQ University, Curtin University, Macquarie University, Queensland University of Technology, Study Group, The University of Melbourne, Navitas Group, UNSW, University of Canberra, University of Tasmania, University of Technology Sydney and many others. Students can enroll themselves (apply) for February, 2016 batch. Students will get support to get Student VISA and Post-Study Work for Degree students. Students will have the opportunity to discuss career plans directly with leading Australian Universities. Students will get answers of all queries on Courses, Scholarships, Admission & career prospects. Admission Application Fees waiver scheme is also available on booking. Students will get Free IELTS Guidance. Those students or parents interested in visiting Australian Education Exhibition 2015 in Kolkata are requested to register themselves for Pre Screening (suggested). To Register please call 9836483131 / 9831058809 / 033-2358-4093 numbers –or- contact Kolkata City Office (2W, The Millennium, 235/2A AJC Bose Road, Kolkata-20) –or- contact Salt Lake Office (D205, City Centre, Salt Lake, Kolkata-64). Please bring all academic credentials in original and a set of photocopy for application. National Safety Science Quiz (NSSQ) 2015 registration / application process, criteria eligibility requirement for participation in NSSQ 2015. NSSQ (National Safety Science Quiz) is back and the participation process is going on. NSSQ is the nationwide Quiz Competition organized by National Council of Science Museums (NCSM) in association with Underwriter Laboratories (UL) where Indian School Students can only participate. 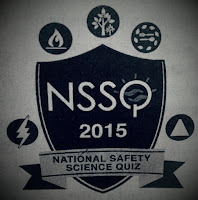 National Safety Science Quiz (NSSQ) for school students will be organized during August to October 2015 and the registration process for participation will end on 31st July 2015. Interested students are advised to visit www.vismuseum.gov.in website to complete Online Registration Process which will close on 31st July 2015.
Who can participate in NSSQ 2015? Minimum eligibility criteria for participation in NSSQ 2015 and for other details please visit www.ulnssq.org website or call +91-8022866200 / +91-80-2204-0233 phone numbers. Participate & Win prizes and be the next National Safety Science Champion. Uttam Chalachitra Utsav Date Schedule of Uttam Kumar Film Festival Nandan, Kolkata 2015, Opening & Closing last date of Uttam Kumar Film Festival, Nandan, Kolkata 2015, timings of Uttam Kumar Film Festival Nandan, Kolkata 2015, opening & closing time schedule of Uttam Kumar Film Festival Nandan, Kolkata, location of 2015 Uttam Kumar Film Festival, Ticket price of Uttam Kumar Film Festival, 2015 ticket booking process online of Uttam Kumar Film Festival Nandan, Kolkata Uttam Chalachitra Utsav & Uttam Kalaratna Awards. Shilpi Sansad has organized 1-week long Uttam Film Festival (Uttam Chalachitra Utsav) at Nandan on & from 24th July 2015. Total of 14 Bengali Cinemas of Mahanayak Uttam Kumar will be screened during 2015 Uttam Chalachitra Utsav at Nandan, Kolkata. Let’s check out what are Bengali movies will be shown, ticket price and movie timings of Uttam Film Festival 2015. 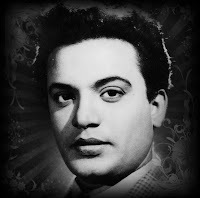 • 2015 Uttam Kumar Film Festival, Nandan, Kolkata Date Schedule: - Let’s check out the starting date & closing (last) date of Uttam Kumar Film Festival, Nandan, Kolkata now. Uttam Chalachitra Utsav starts on 24th July 2015 and is going to end on 30th July 2015. 24th July 2015 – Chiriakhana (3pm) and Harano Sur (6pm). 25th July 2015 – Basu Pariwar (3pm) and Sanyasi Raja (6pm). 26th July 2015 – Rajkanya (3pm) and Deya Neya (6pm). 27th July 2015 – Sare Chuattar (3pm) and Mon Niye (6pm). 28th July 2015 – Sei Chokh (3pm) and Dui Bhai (6pm). 29th July 2015 – Rajbansha (3pm) and Ami Se O Sakha (6pm). 30th July 2015 – Shyamali (3pm) and Saptapadi (6pm). • Ticket Price of Uttam Kumar Film Festival, Nandan, Kolkata 2015: - Rs.30/-, Rs.40/-, Rs.50/- these are three types of tickets are available at Nandan Ticket Counter from 18th July 2015 between 1pm & 7pm. Kolkata Children’s Competition 2015 details, Sri Aurobindo Bhavan Kolkata address & phone contact number, Children’s Competition 2015 by Sri Aurobindo Bhavan, Kolkata details, How to register participate enroll names in Children’s Competition 2015 by Sri Aurobindo Bhavan, Kolkata. Kolkata's Sri Aurobindo Bhavan, under Sri Aurobindo Sakti Centre Trust, is going to organize Children's Competition 2015 in Kolkata from 25th July 2015 to 6th September 2015. Under 16 years of age, all children’s may enroll / register their names for participation in upcoming Children's Competition 2015 organized by Sri Aurobindo Bhavan of Kolkata. Let's check out how to enroll / register / participate in Children's Competition 2015, What are the sections / parts / events going to happen in Children's Competition 2015 and what are the requirement to participate in Kolkata's Children's Competition 2015. • Date Schedule of Children’s Competition 2015 by Sri Aurobindo Bhavan, Kolkata – From 25th July 2015 to 6th September 2015. • Venue / Location of Children’s Competition 2015 by Sri Aurobindo Bhavan, Kolkata – It will be hold at Bhavan campus in Kolkata (Address mentioned below). • Who can participate / compete in Children’s Competition 2015 by Sri Aurobindo Bhavan, Kolkata? Any child up to 16 years of Age can participate in Children’s Competition 2015 by Sri Aurobindo Bhavan, Kolkata. • What are the events available in Children’s Competition 2015 by Sri Aurobindo Bhavan, Kolkata – Children can participate in single or multiple events that are available. Let’s check out on which events / departments the Competition will be hold – Story Telling, Elocution, Recitation, Essay Competition, Sit & Draw Competition, Quiz Competition, Rabindrasangeet, Nazrulgeeti, Atulprosad songs, Rajanikanta songs, Dwijendrageeti, Dilip Roy, Kathak Dance Competition, Odissi Nritya competition and Bharatnatyam dance competition. 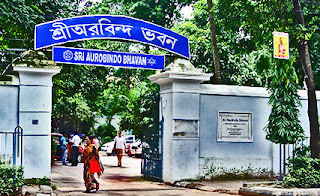 Sri Aurobindo Bhavan Kolkata Office, 8 Shakespeare Sarani Road, Kolkata-71. For further details on Children's Competition 2015 in Kolkata by Sri Aurobindo Bhavan please call 033-2282-3057 phone number or visit www.sriaurobindobhavankolkata.org website. Sri Aurobindo Bhavan of Kolkata does provide regular classes on Sanskrit Language, Multimedia, Karate, Yoga, Gym, Recitation, Drawing & Painting, Rabindrasangeet and Other Sons, Bharatnatyam & Kathak Dance at their Bhavan. Interested parents can contact Sri Aurobindo Bhavan, Kolkata for admissions of their Child. Date Schedule of Tourist Spot Kolkata 2015, Opening & Closing last date of Tourist Spot, Kolkata 2015, Entry timings of Tourist Spot Kolkata 2015, opening & closing time schedule of Tourist Spot Kolkata, location of 2015 Tourist Spot, address of Tourist Spot Kolkata how to go, Ticket price of Tourist Spot, 2015 ticket booking process online of Tourist Spot Kolkata. 2015 Puja Vacations are coming in 2 months time. Puja vacations are the time when people love to go out with their families. Keeping this in mind, Anandabazar Patrika comes up with 3-day long Tourist Spot Event at Swabhumi (Kolkata) from 10th July to 12th July 2015. In this event, people will get the opportunity to explore known & unknown tourist places nearby. • 2015 Tourist Spot, Kolkata Date Schedule: - Let’s check out the starting date & closing (last) date of Tourist Spot, Kolkata now. Tourist Spot Event in Kolkata is going to held for only 3-Days (10th, 11th & 12th July 2015). • 2015 Tourist Spot, Kolkata Timings: - Let’s check out the opening & closing time of Tourist Spot, Kolkata. Entry gates will remain open from 11am to 8pm for the people visiting Tourist Spot, Kolkata Event. • Entry Ticket Price of Tourist Spot, Kolkata 2015: - Entry ticket (fee) is only Rs.5/-. • 2015 Tourist Spot Event Location / Address: - Rangmanch, Swabhumi, Kolkata. • Phone Contact number of Tourist Spot, Kolkata: - Tour Operators & Travel Agencies may contact at 9830019708 / 9830034359 / 9038777877 with queries regarding Stall Booking at Tourist Spot Event of Kolkata. • 2015 Tourist Spot Event, Kolkata details: - Just before peak season of travelling i.e., Durga Puja Holiday time, Anandabazar Patrika (ABP Group) is going to organize Tourist Spot Event at Swabhumi, Kolkata to provide each & every information of various tourist places in West Bengal, India and abroad. We all love going out with friends or family for a short or long trip every year. But, it’s not possible to know hidden places that not been accessed frequently by tourists; keeping this in mind, Tourist Spot Event of Kolkata will provide information of all known & unknown tourist places. It’s an obvious event to visit to all tour lovers. Apart from getting, information of all known & unknown tourist spots of Bengal, India and abroad; you all will get answers regarding Ticket Booking, Hotel Booking etc. 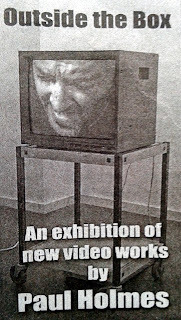 Studio21 presents ‘Outside the Box’, which is an exhibition of new video works by Paul Holmes, in Kolkata till 3rd July 2015. • Outside the Box, Studio21, Kolkata Date Schedule: - Let’s check out the starting date & closing (last) date of Outside the Box, Studio21, Kolkata now. 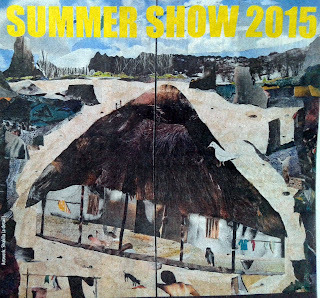 This exhibition of new video works by Paul Holmes in Kolkata is going on at Studio 21 and will end on 3rd July 2015. • 2015 Outside the Box, Studio21, Kolkata Timings: - Let’s check out the opening & closing time of Outside the Box, Studio21, Kolkata. Monday (3pm – 7pm), Tuesday to Saturday (11am – 7pm) and Sundays & Holidays Closed. • Entry Ticket Price of Outside the Box, Studio21, Kolkata 2015: - Free entry for all to explore the new video works by Paul Holmes. • Studio21, Kolkata Location / Address: - This exhibition is going on at Studio 21, 17L, Dover Terrace, Kolkata-19. • Phone Contact number of Studio21, Kolkata: - 033-2486-6735. • Outside the Box, Studio21, Kolkata details: - This is an initiative by CIMA Gallery to exhibit latest (new) video works by Paul Holmes in Kolkata at Studio21 Gallery till 3rd July 2015. Please email at studio21.gallery@gmail.com for further details. Date Schedule of Education Festival & Exhibition on Media Communication & Design Kolkata 2015, Opening & Closing last date of Education Festival & Exhibition on Media Communication & Design, Kolkata 2015, Entry timings of Education Festival & Exhibition on Media Communication & Design Kolkata 2015, opening & closing time schedule of Education Festival & Exhibition on Media Communication & Design Kolkata, location of 2015 Education Festival & Exhibition on Media Communication & Design, address of Education Festival & Exhibition on Media Communication & Design Kolkata how to go, Ticket price of Education Festival & Exhibition on Media Communication & Design, 2015 entry process online of Education Festival & Exhibition on Media Communication & Design Kolkata. People want to make career in Media Communication & Design [Fashion, Advertising, Film-making, VFX, Photography, RJ, DJ, Web Designing, etc.] and those who want to get more knowledge in several streams of Media Communication will get a chance of a lifetime to explore everything about Media Communication & Design for FREE at the India’s Biggest Education Festival & Exhibition in Kolkata held only for 2-days. • 2015 Education Festival & Exhibition on Media Communication & Design, Kolkata Date Schedule: - Let’s check out the starting date & closing (last) date of Education Festival & Exhibition on Media Communication & Design, Kolkata now. 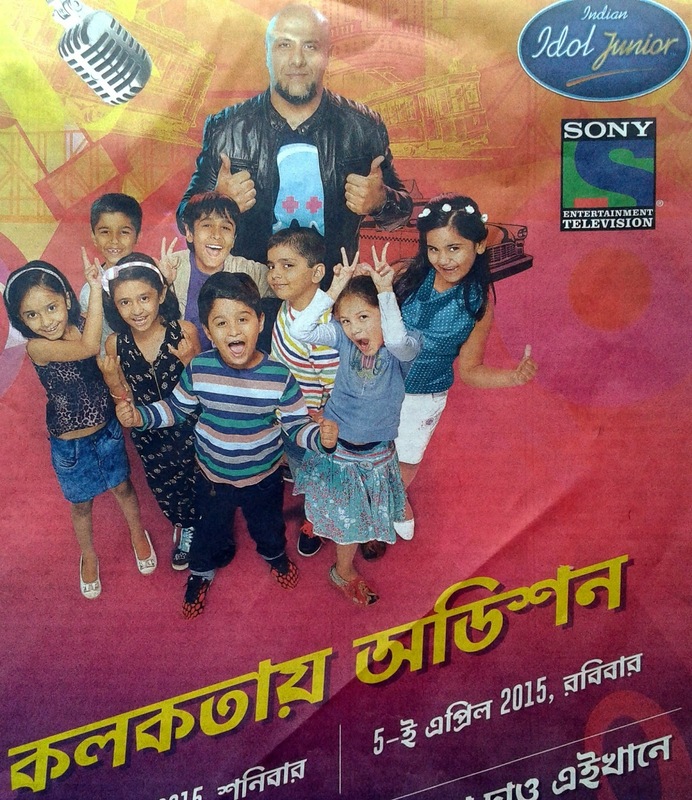 2-Days Edutainment Show in Kolkata starts on 30th May 2015 and will end on 31st May 2015. • 2015 Education Festival & Exhibition on Media Communication & Design, Kolkata Timings: - Let’s check out the opening & closing time of Education Festival & Exhibition on Media Communication & Design, Kolkata. 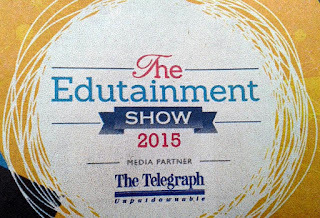 Interested people are requested to explore The Edutainment Show of Kolkata between 10am & 8pm. • Entry Fee of Education Festival & Exhibition on Media Communication & Design, Kolkata 2015: - Free Entry for all. • 2015 Education Festival & Exhibition on Media Communication & Design Location / Address: - The Edutainment Show is organized at Park Hotel, Kolkata. • Phone Contact number of Education Festival & Exhibition on Media Communication & Design, Kolkata: - For any query & registration purpose please call +91-77188-76482 / +91-70593-16395. • 2015 Education Festival & Exhibition on Media Communication & Design, Kolkata Organizer details: -Initiative by Event Capital in association with The Telegraph (Media Partner), SinGem (Skill Partner), along with several others. • 2015 Education Festival & Exhibition on Media Communication & Design, Kolkata in Details: - India’s biggest Education Festival & Exhibition on Media Communication & Design i.e., The Edutainment Show 2015 is going to be organized at Park Hotel in Kolkata on 30th & 31st May 2015 [10am to 8pm] in association with The Telegraph, Amity University, NIFT and other leading names in Media Communication & Designing industry. The Edutainment Show of Kolkata is the place where people can explore specific streams on Media Communication & Design along with could hear from the world famous speakers as well. People visiting The Edutainment Show in Kolkata; will get to know career benefits on – Fashion Design, Films, Journalism, PR, Advertising, Music, Radio, Digital, Performing Arts, Graphic Design, Gaming, Animation, VFX, Photography, Disc Jockeying and Web Designing. World famous names like Suhel Seth (Writer, Author & Actor), Prahlad Kakar (Advertising Guru), Boria Majumdar (Author & Sports Historian), Arindam Sil (Filmmaker), RJ Jimmy & DJ Aakash will share valuable tips. Above all, through this Edutainment Show in Kolkata the FTV School Of Design will be launched. Be a part of it. For further details please visit www.mediadesignedu.com. Date Schedule of Tourism Fair Kolkata 2015, Opening & Closing last date of Tourism Fair, Kolkata 2015, Entry timings of Tourism Fair Kolkata 2015, opening & closing time schedule of Tourism Fair Kolkata, location of 2015 Tourism Fair, address of Tourism Fair Kolkata how to go, Ticket price of Tourism Fair, 2015 ticket booking process online of Tourism Fair Kolkata. 15th edition of Tourism Fair in Kolkata is going to be organized at Kshudiram Anusilan Kendra on the first week of June, 2015. Like every previous years, people will get to explore tourist spots of various states in India and outside along with best package rates. Let’s check out few details of 2015 Tourism Fair, Kolkata. • 2015 Tourism Fair, Kolkata Date Schedule: - Let’s check out the starting date & closing (last) date of Tourism Fair, Kolkata now. Tourism Fair is going to start on & from 5th June 2015 and will end on 7th June 2015. You will have only 3 days to explore various tour packages of best tour operators. • 2015 Tourism Fair, Kolkata Timings: - Let’s check out the opening & closing time of Tourism Fair, Kolkata. Every day between 11am & 8pm Tourism Fair will remain open for all. • Entry Ticket Price of Tourism Fair, Kolkata 2015: - Free entry for all. 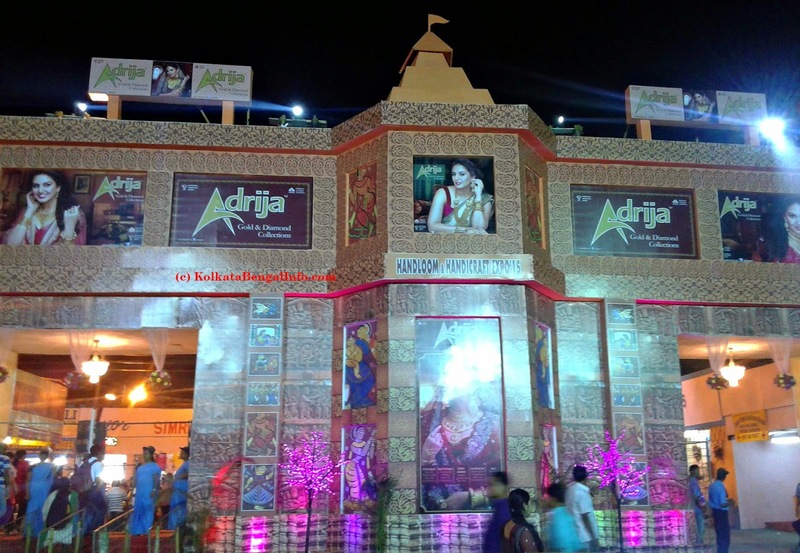 • 2015 Tourism Fair Location / Address: - Kshudiram Anusilan Kendro, Beside Netaji Indoor Stadium, Kolkata. • Phone Contact number of Tourism Fair, Kolkata: - 033-2237-6678 / 033-2225-9212 / 033-2225-5266 – phone contact numbers of the organizer Blue Eye India Pvt. Ltd.
• 2015 Tourism Fair, Kolkata Organizer details: - Blue Eye India Pvt. Ltd. organizes Tourism Fair 2015 in Kolkata in association with Association of Tourism Service Providers of Bengal. • 2015 Tourism Fair, Kolkata Features & Availabilities: - Government tour operators and Private tour operators will showcase their various tour packages in India and abroad under one roof at Tourism Fair, Kolkata. People will have the opportunity to check various tourist places & packages of different tour operators to select best one. Those people planning a vacation in coming months specially during Durga Puja Holidays; should explore Tourism Fair of Kolkata to know pocket friendly best luxurious or budget tours. Date Schedule of Color Pearls Festival of Chandrani Pearls 2015, Opening & Closing last date of Color Pearls Festival, of Chandrani Pearls 2015, Entry timings of Color Pearls Festival of Chandrani Pearls 2015, opening & closing time schedule of Color Pearls Festival of Chandrani Pearls, location of 2015 Color Pearls Festival, Kolkata address of Color Pearls Festival of Chandrani Pearls how to go, price of Color Pearls Festival, 2015 Color Pearls Festival of Chandrani Pearls. Chandrani Pearls comes up with Color Pearls Festival in India during this summer. In this, Color Pearls Festival jewelry lovers will get to see & buy latest designed Pearl jewelries at cheap price. Let’s check out few details of Color Pearls Festival organized by Chandrani Pearls in India. 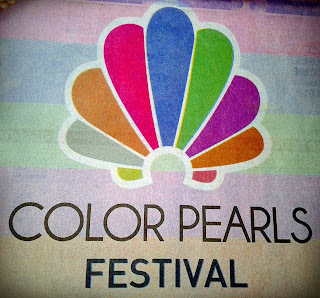 2015 Color Pearls Festival of Chandrani Pearls Date Schedule: - Let’s check out the starting date & closings (last) date of Color Pearls Festival of Chandrani Pearls now. Color Pearls Festival by Chandrani Pearls jewelry shop starts on & from 8th May 2015 and will end on 19th May 2015. 2015 Color Pearls Festival, Of Chandrani Pearls Features & Availabilities: - Chandrani Pearls is a well known name in Jewelry Shoppes since 1985. It’s only deals with Pearl Jewelries all over India. Between 8th May & 19th May 2015, Chandrani Pearls is organizing Color Pearls Festival to showcase latest designs using colorful pearls. In this Color Pearls Festival 2015, people will get to see various types of Pearl Jewelries like Necklace, Bangles, Ear rings, Rings, Pendent etc. and these collection of pearl jewelries of Chandrani Pearls price starting from Rs.370/- to Rs.8000/- & above. People will also get an assured gifts from Chandrani Pearls if they purchase of Rs.1500/- & above or Rs.2500/- & above or Rs.4000/- & above during this Color Pearls Festival 2015. Color Pearls Festival of Chandrani Pearls is organized at all Chandrani Pearl Showrooms located at Kolkata [Minto Park, Baguiati, Barasat, Barrackpore, Baruipur, Behala, Bhowanipur, Birati, Bowbazar, Dunlop, Garia, Golpark, Dumdum Gorabazar, Jadavpur, Lake Mall, Lake Town, Madhyamgram, Mahamayatala, Dum Dum Nagerbazar, New Market, New Town, Phoolbagan, Salt Lake, Shyambazar, Sodepur, Tollygunge], Chandannagar, Chinsurah, Howrah, Sreerampore, Uttarpara, Asansol, Burdwam Durgapur, Berhampore, Jalpaiguri, Krishnanagar, Malda, Siliguri, Raniganj, Suri, Medinipur, Jamshedpur, Ranchi, Guwahati, Jorhat, Lajpatnagar, Noida, Ghaziabad, Pitampura, Kanpur, Bangalore. Color Pearls Festival is being organized at all Chandrani Pearls Showrooms of Kolkata, Bengal and rest of India between 8th May & 19th May 2015. For further details on Color Pearls Festival of Chandrani Pearls please email your queries to info@chandranipearls.net or SMS ‘CPEARLS’ to ‘56677’ number. If you want to see Pearl Jewelry Collection of Chandrani Pearls or want to buy jewelries of Chandrani Pearls online; then please visit www.chandranipearls.net website. Senco Gold & Diamonds Jewelry Showroom has come up with huge collection of latest designed Gold & Diamond Bangles on the occasion of Nababarsa 1422 & Akshay Tritiya. From 10th April 2015 to 22nd April 2015, Senco Gold & Diamonds is celebrating Bangle Utsav at all 70 showrooms in India. • 2015 Bangle Utsav, Senco Gold & Diamonds Date Schedule: - Let’s check out the starting date & closing (last) date of Bangle Utsav, Senco Gold & Diamonds now. Special offers & discounts during Bangle Utsav are available till 22nd April 2015 from 10th April 2015. • 2015 Bangle Utsav, Senco Gold & Diamonds Timings: - Let’s check out the opening & closing time of Bangle Utsav, Senco Gold & Diamonds. Normally, Senco Gold & Diamonds jewelry shop remains closed on Sundays; but on 19th April 2015 all showrooms of Senco Gold & Diamonds will remain open because of Bangle Utsav. 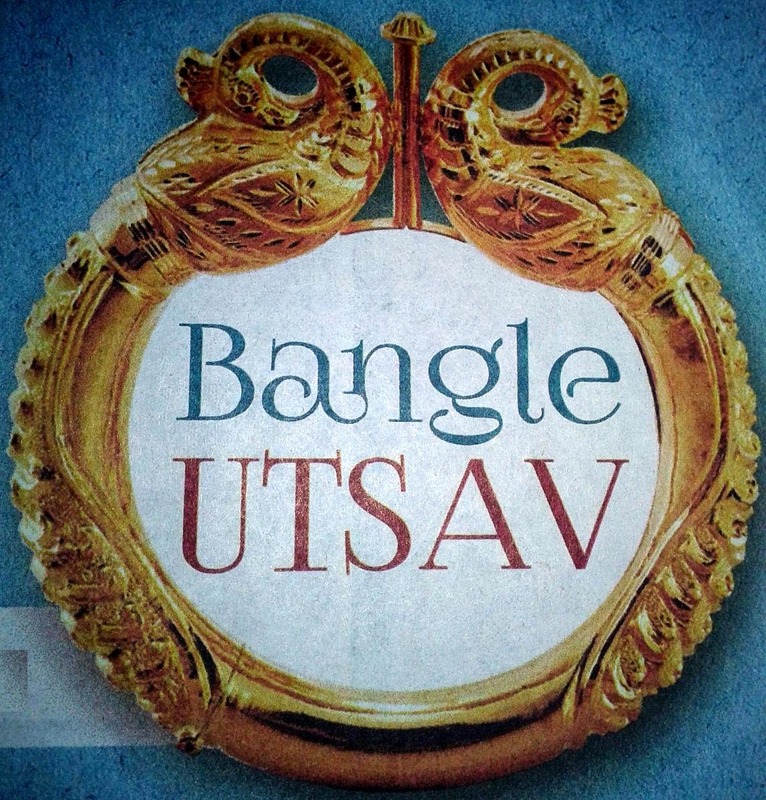 • 2015 Bangle Utsav Location / Address: - People will get the discounts & offers not in a particular showroom, but in all showrooms of Senco Gold & Diamonds in Kolkata, West Bengal Bihar, Delhi, Mumbai, Bhopal & Luckhnow during Bangle Utsav. Please check www.sencogoldanddiamonds.com website for your nearest Senco Gold & Diamond showroom. • Phone Contact number of Bangle Utsav, Senco Gold & Diamonds: - Since, Bangle Utsav offers & discounts are available at all branch showrooms of Senco Gold & Diamond Jewellery shop in Kolkata; thus giving you all the Toll Free Helpline number 1800-120-0017. 9% to 14% discount on Making Charge of Jewelries. Get 100% value on Diamond Jewelry exchange. Get the facility of Computerized Gold Testing on old Gold exchange. Get same amount of Silver on purchase of Gold. Exclusively designed & trendy Gold & Diamond Bangle collection – Diamond Noa, Diamond Churi, Bracelet Pola, Leaf Noa, Overlap Noa, Zig Zag Noa, Choko Bala, Feather Weight Churi, Light Naksa Bala, Light Bracelet Chur, Overlap Flower Naksha Bala, Rajanigandha Bala, Katai Chur, Kunri Kangan, Bracelet, Chakra Bala, Dhol Kangan, Agni Chur, Flora Chur, Royal Kangan Chur, Padma Kankan etc. Don’t miss out the opportunity to explore uniquely designed fashionable Diamond & Gold Bangles at your nearest Senco Gold & Diamonds Showroom during this Bangle Utsav 2015. Unjsons presents Moods n Melody musical program in Kolkata in association with Meera Audio & Recording Studio Co. on 4th April 2015. Let’s check out upcoming musical event in Kolkata i.e., Moods n Melody 2015 details below. • 2015 Moods n Melody, Kolkata Date Schedule: - 4th April 2015 (Saturday). • 2015 Moods n Melody, Kolkata Timings: - Musical show will start at 5.30pm in evening. • Entry Ticket Price of Moods n Melody, Kolkata 2015: - Tickets are available at various centers as follows – The Melody (Rashbehari Avenue), Modern Music (Sealdah Sisir Market), Sree Guru (Shyambazar), and Commiun Electronics (Menton Super Market, Behala). Apart from these ticket collection centers in Kolkata; Tickets will also be available at Kalamandir on & from 1st April 2015. • 2015 Moods n Melody Location / Address: - Kalamandir, Kolkata. • 2015 Moods n Melody, Kolkata Organizer details: - UNJSONS present Moods n Melody musical event in Kolkata in association with Meera Audio & Recording Studio Co. This event is managed by Wide Angle, supported by UD Entertainment Pvt. Ltd along with News Channel partner Focus Bangla and others. • 2015 Moods n Melody, Kolkata details: - Moods n Melody musical event is on 4th April 2015 at Kalamandir Auditorium (Kolkata) where eminent artists like Shilajit, Joy Sarkar, Saptak, Pankaj, Sanchari (Mumbai) and RJ Kaushik will be performing live. Please collect tickets now and please be seated by 5.15pm. Remember, children below 5 years are not allowed and also foods & drinks are not allowed inside. North Kolkata’s biggest Chaitra Sale is going on at Sinthi More in the name of Handloom & Handicraft Expo 2015 like previous year. Let’s check out few details of Handloom & Handicraft Expo 2015 below. • 2015 Handloom & Handicraft Expo, Sinthi More, Kolkata Date Schedule: - Let’s check out the starting date & closing (last) date of Handloom & Handicraft Expo, Sinthi More, Kolkata now. This mela (fair) started on 20th March 2015 and will end on 22nd April 2015. It means, North Kolkata’s biggest Chaitra Sale i.e., Handloom & Handicraft Expo 2015 is open for one month. • 2015 Handloom & Handicraft Expo, Sinthi More, Kolkata Timings: - Let’s check out the opening & closing time of Handloom & Handicraft Expo, Sinthi More, Kolkata. Entry gate opens at 4.30pm & closes at 9.30pm every day. • Entry Ticket Price of Handloom & Handicraft Expo, Sinthi More, Kolkata 2015: - Rs.10/- per person. • 2015 Handloom & Handicraft Expo Location / Address: - Sinthi More Circus Maidan, Beside B.T. Road and Behind Sinthi-Baranagar Auto Stand, North Kolkata. • 2015 Handloom & Handicraft Expo, Sinthi More, Kolkata Features & Availability: - Like every previous years, just before Bengali New Year biggest Chaitra Sale has been started at Sinthi More Circus Ground beside B.T. Road in North Kolkata. Handloom & Handicraft Expo (Fair) at Sinthi More has every product of daily need at cheap price. Starting from Fashion accessories, Bags, Clothing, Home decorative, Electronics and many more things are available here in this 2015 Chaitra Sale Mela, North Kolkata. Sellers from different states of India have participated with their trendy fashionable products. People could explore huge stock of latest trendy Clothes (Kurta, Tops, Jeans, Nightwear, Pants, Shirts etc. ), Fashion accessories (Earring, ring, necklaces & other costume jewelry etc. ), Bags & Wallets, Bed cover, Bed sheets, Home decorative products (Artificial flowers, antique showpieces etc. ), Electronic products (AC, Fan, Air Coolers without Water etc. ), Footwear at different stalls inside Handloom & Handicraft Expo 2015, Sinthi More. Jaipuri style latest kurti, Punjabi style decorative footwear, Khadi Saree, and many more things that will surely make you buy. For children, separate Kids zone is there along with so many food stalls. So many people from nearby areas (like Chiria More, Paikpara, Cossipore, Baranagar, Tobin Road, Alambazar, Dunlop, Dakshineswar, Ariadaha, Belgharia) visit Sinthi More Handloom & Handicraft Mela 2015. If you are thinking to take your 2-wheeler or 4-wheeler; then no issue; because ample Car Parking area is there as well against a nominal expense of Rs.10/- for Bike or Car Parking. A visit to biggest Chaitra Sale 2015 in Kolkata i.e., Handloom & Handicraft Expo is must for all.